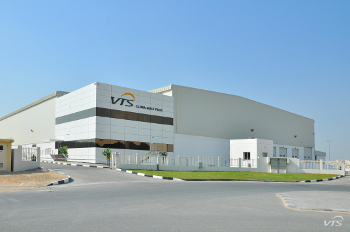 Due to the sales boost on the Middle Eastern and African markets, VTS opened a state of the art Logistics – Production Center in Dubai in October 2015. With its innovative infrastructure and highest work and safety organization standards, the new factory, together with an office complex, will not only guarantee fast and professional service of all orders in the region, but will also bring VTS closer to the Clients and to the entire Persian Gulf and African market. “Our clients often stress that they are more inclined to cooperate with companies that have local divisions, where they run their actual business. This not only proves the robustness and position of the company, but also provides visual evidence of its development. This way, we are building brand identification and trust, tightening relations with the local market. We treat the market and our clients very seriously. This investment is the proof of our total involvement and belief in the development of the Middle Eastern market. Now, we are ready to grow with the market and to guarantee our clients the highest quality of products and services” – claims Hanna Siek-Zagórska, the CEO of the VTS Group. “For years now, our priority was to ensure the dynamic expansion on key world markets. Therefore, we intent to keep developing our commercial infrastructure”. – she adds. 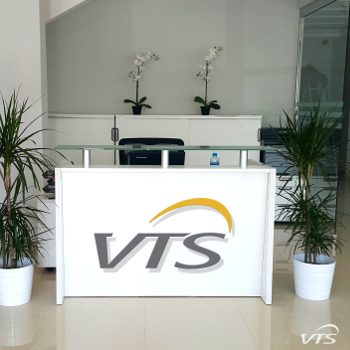 Opening of the factory and office in the United Arab Emirates is the next step in VTS’ strategy and, without a doubt, one of the most outstanding successes of the Group. A total area of 4200 m2 houses a HUB (ca. 1000 m2), a Logistics Center (ca. 3000 m2) and a two-level office spanning over 345 m2. Dubai is still one of the most dynamically developing business centers in the world – thanks to its strategic location, halfway between the Asia-Pacific and European regions, faster deliveries and improved connections with both of these regions are guaranteed. As Abraham Lincoln once said, determination to succeed counts more than anything else in the world, which is why the core of VTS is consistent work on achieving specific goals and the best results, both in terms of the product, quality processes, logistics, comfort and purchase safety, exceeding standard solutions present on the market.